The Big Wood River which runs through the Wood River Valley lends its name and its scenic beauty to various trails in the area. North Fork of the Big Wood River Trail is an 8 miles hike that involves minimal elevation gain. It is hard to access the unmaintained trailhead of the East Fork Big Wood River Trail; however the trail has spectacular scenery. Both trails are easy to moderate to traverse. Two well known trails in the area include the North Fork of the Big Wood River and the East Fork of the Big Wood River. 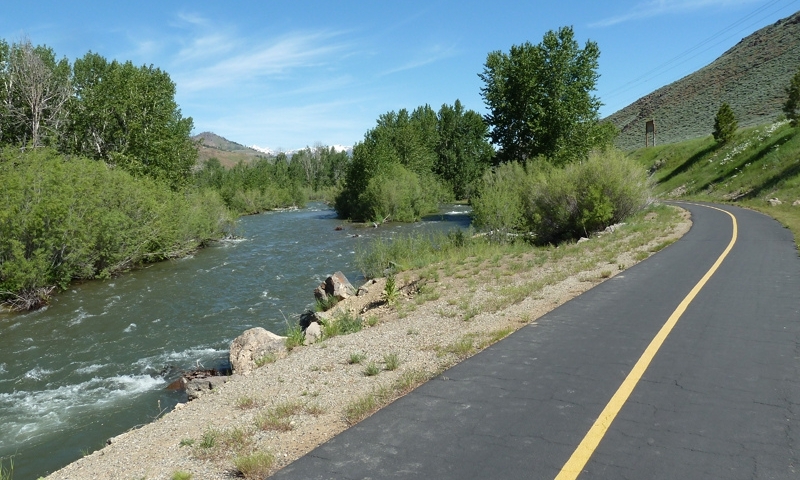 Due to the length of the valley and the river running through it, one of these trails is located north of Ketchum, while the other can be found north of Hailey. Each trail provides a separate and unique view of this picturesque area. The views here include forests, rugged mountains, and meadows. This is a long day hike or can be a short backpacking trip. Trailhead: From Ketchum, drive north on Highway 75 for 8 miles until you reach the main building of the Sawtooth National Recreation Area. Take a right on North Fork Road and continue past the parking area for 5 miles. The road ends in a parking area by the river. Begin your hike here. Despite the rough access, this trail is popular for its great scenery. The Forest Service seems to have stopped maintaining this trail. There are no signs, but the trail is obvious, not very steep, and easy to follow most of the time. Trailhead: To reach the trail head, turn off Highway 75 about 5.5 miles north of Hailey. Drive 6 miles up East Fork Road to the junction with Hyndman Creek Road. Stay to the right. in just over a mile you will reach a Y in the road. Keep to the left. Travel approximately another 5 miles over washboard, rough gravel road and you will reach a small, unmaintained trailhead. Hiking and outdoor related sports can be dangerous. Be responsible and prepare for the trip. Study the area you are entering and plan accordingly. Dress for the current and unexpected weather changes. Make an itinerary with your plans, routes, destinations and expected return time. Give your itinerary to trusted family and/or friends.